This chest's weathered driftwood finish evokes such an ethereal vibe—exactly what you need for your serene master suite. Clean lines and simple yet substantial hardware make for a timeless look you’ll love living with for years to come. 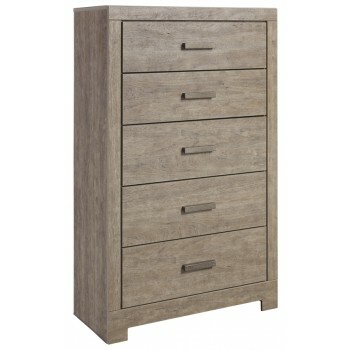 Five spacious drawers offer ample storage for a wardrobe and spare bed linens.